Head out on the open roads of Folsom and Rancho Cordova this summer in a used Mercedes-Benz E 350 Convertible. This exciting vehicle is engineered with performance in mind, and recent models have offered 302 hp and an enormous 273 lb-ft of torque. If you’re planning on cruising Route 50 near Gold River this summer, you’ll want to feel the wind through your hair in an affordable used Mercedes-Benz E 350 Convertible! 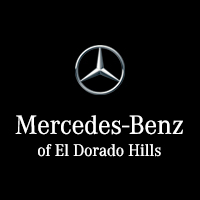 Why Purchase a Used Mercedes-Benz E 350 Convertible from Mercedes-Benz of El Dorado Hills? The next-level service you’ll experience at Mercedes-Benz of El Dorado Hills is why we have returning customers coming back for model after model. We’re part of the exclusive Von Housen Auto Group, and when you’re in the market for a used Mercedes-Benz vehicle, there’s no better place to turn. Get in touch with our finance department to get the ball rolling on a low cost auto loan, or stop by our showroom at 1000 Mercedes Lane in El Dorado Hills, CA. Contact us now to learn more about this luxurious, fun to drive model.